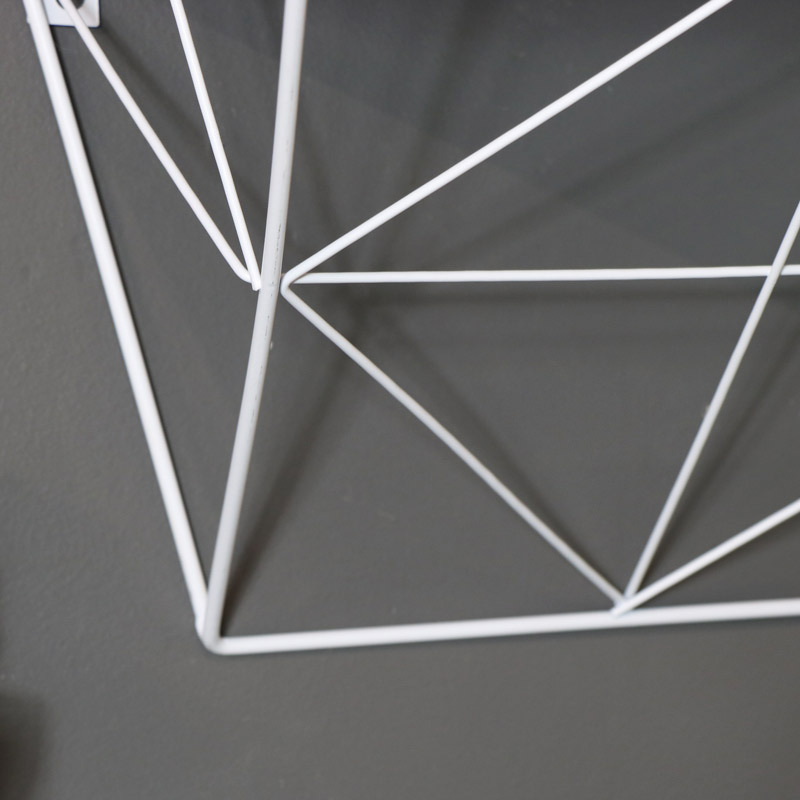 These eyecatching wall shelves will add a fresh new look to your decor. 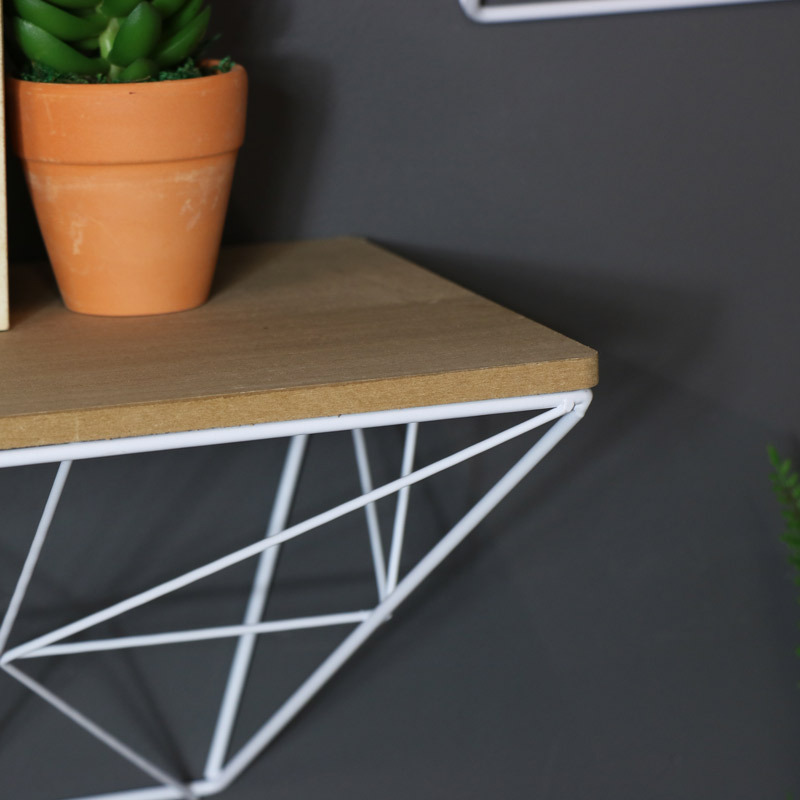 Geometric, industrial designed frame with natural wood tops. In a set of 2 that will look great in the living room, hallway, office, bathroom or kitchen. 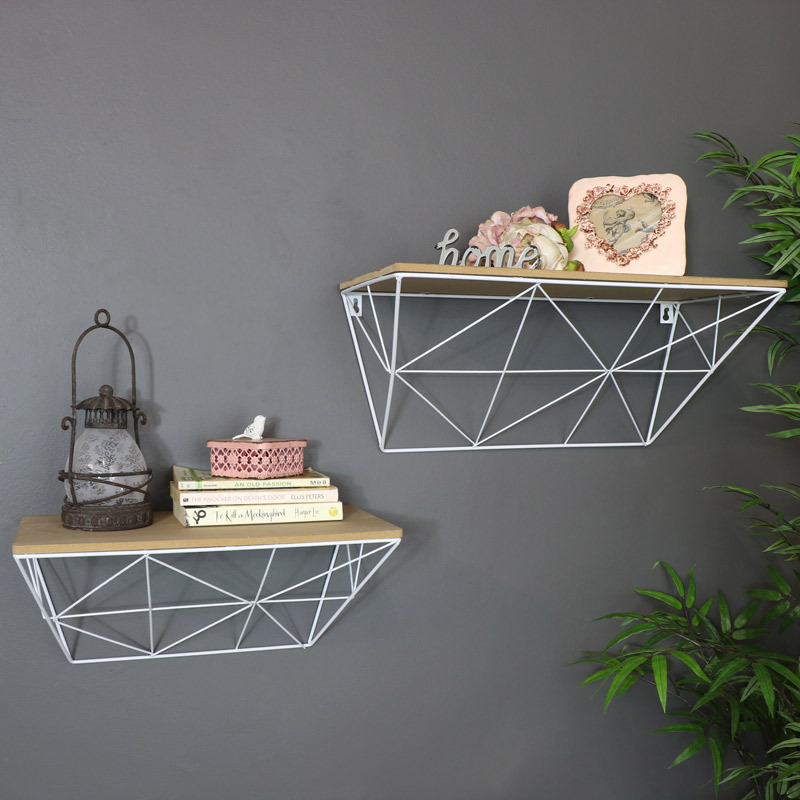 Such a versatile, practical and stylish storage solution, the shelves will look great wall mounted as the pair or can be used on their own. White metal mesh style frame with natural wood tops. Ideal for displaying books, ornaments or plants in style. With even more shelving and storage ideas for you to choose from with wall mounted and floorstanding designs.